If you are one of those people who are constantly torn between that late-afternoon glass of wine or a grande drip, you have one less life decision to make because you can have both. Introducing Molinari Private Reserve Wine Infused Coffee — java deliciously and delightfully infused with Napa Valley vino. The wine-country collaboration came to fruition when coffee and wine lover Rick Molinari teamed up with Wild Card Roasters Master Coffee Roaster John Weaver. According to FoodBev, it has taken them more than two years to get their target blend, which is a full-bodied coffee with notes of blueberry. Loaded with antioxidants, the beans are available in both decaf and regular varieties, so even if you aren't into caffeine you can still indulge. The process of making wine-infused coffee beans is quite interesting. Both regular and caffeinated beans are hand-selected and "rehydrated to a specific liquid percentage using a special house-made red" that's custom-made for Molinari. Finally, they are dried and hand-roasted in small batches. 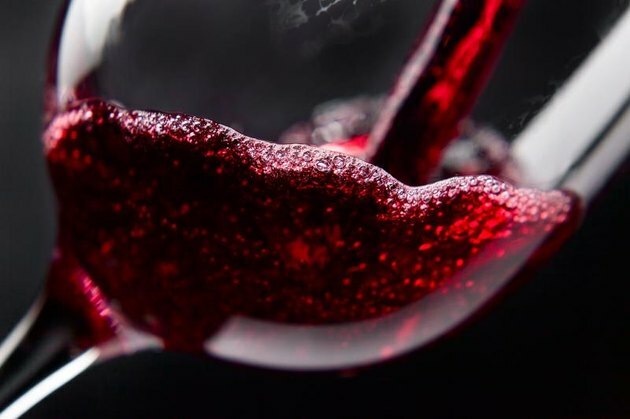 If you are wondering why the company chose a merlot over a white, it has to do with the fact that red wine offers more antioxidants and pairs better with coffee than white. This beverage certainly sounds tasty, but will it give you a buzz? It most likely will not. The actual alcohol content of the beans is very unclear, with no mention made on the company's website. This likely means the beans just end up tasting like red wine. A competing brand sold on the website Uncommon Goods, Merlot Infused Coffee, notes that their beans are caffeinated but contain no alcohol. If you want to sample this caffeinated happ-hour concoction it's available online with a half-pound bag of whole beans selling for $19.95. They suggest serving with a little milk to get more of the wine taste or pulling into an espresso shot for "that head of creme," but it can also be prepared as you would any other whole bean. Do you think wine and coffee are a good mix? Would you try it? What is the coffee mashup of your dreams? Let us know in the comments.